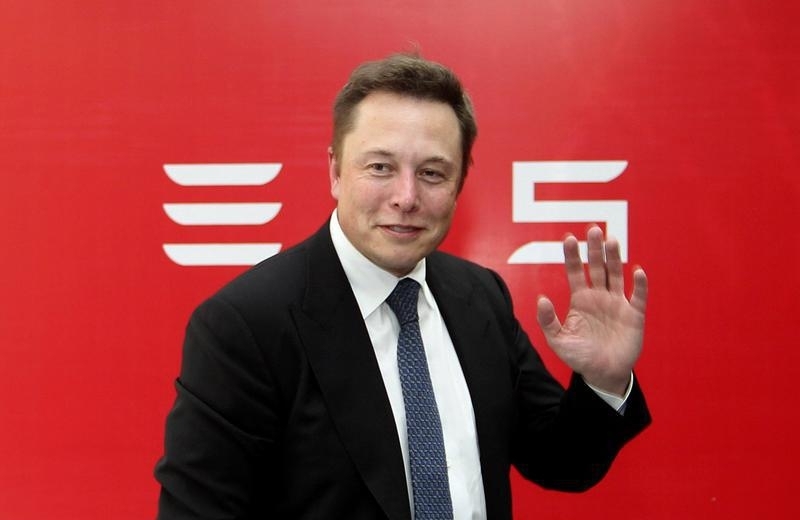 Tesla Motors on June 21 offered to buy SolarCity for up to $2.8 billion in stock, in a deal that would unite two publicly traded companies backed by Elon Musk. Under the terms of the bid, Tesla would exchange about 0.122 to 0.131 of its own shares for each SolarCity share, or from $26.50 to $28.50 a share using Tesla’s five-day average stock price. Musk is the biggest shareholder in both companies with about a 19.5 percent stake in Tesla and 22.2 percent of SolarCity, according to Thomson Reuters data. Tesla said that it is prepared to make any merger subject to the approval of a majority of disinterested stockholders of both SolarCity and Tesla. It said Musk and Antonio Gracias, who are directors of both companies, had recused themselves from voting on the proposal at the Tesla board meeting at which it was approved, and would do the same at SolarCity as well. SolarCity said it would “carefully evaluate” the proposal. At 1 p.m. EDT on June 22, Tesla’s stock was down nearly 9 percent at $200.70 while SolarCity’s was up more than 5 percent at $22.35.